input matrix, size [n x m], with n: n samples / channel, and m: number of channels. Each column of X is a different signal. The number of columns (m) is the number of channels. 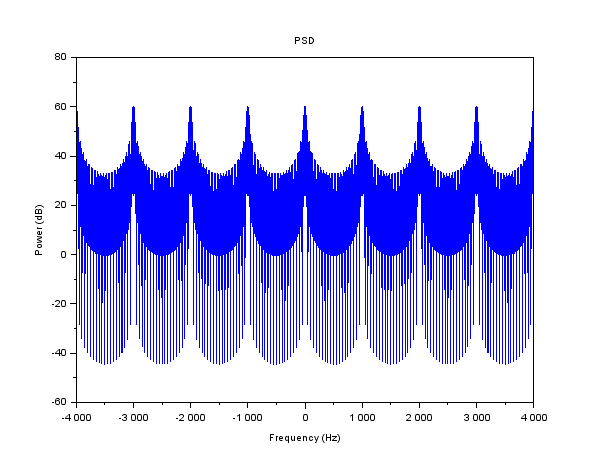 Merge m different signals into a single vector, by frequency multiplexing. The signals are shifted at the following normalized frequencies: 0, 1/m, 2/m, ..., (m-1)/m. Note: this could be done more effectively using a modulated filter bank (Harris method, reciprocal algorithm of the unchannelize function).